Martin Shkreli, who gained infamy for raising the price of an HIV drug, was convicted last summer of defrauding investors in his hedge fund. NEW YORK — The two years since the FBI ushered Martin Shkreli in gray hoodie out of his Manhattan apartment might as well be a lifetime ago. The former hedge fund manager gained notoriety for his decision to raise the price of a lifesaving drug 5,000 percent, earning him a lecture from Congress. He smirked his way through interviews and beefed with rappers, reporters, and almost anyone else in his path. He was repeatedly kicked off Twitter. There was a satirical musical about him, and an episode of CNBC’s ‘‘American Greed’’ was dedicated to his antics. On Friday, Shkreli’s unique journey from a hedge fund rising star to Wall Street bad boy will take its most serious turn yet. After being convicted last summer of defrauding investors, Shkreli faces more than a decade in prison. 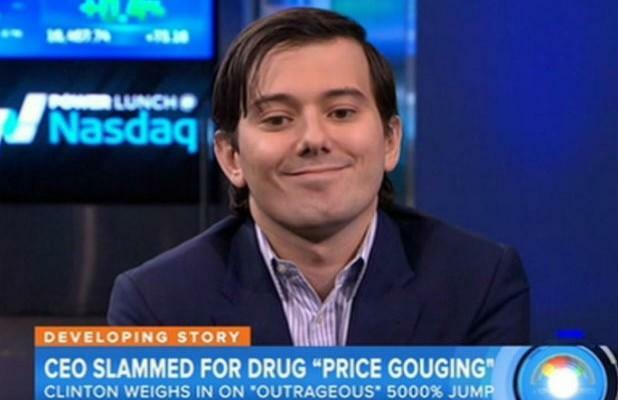 Usually boisterous and defiant, Shkreli has suddenly struck a contrite tone. ‘‘I accept the fact that I made serious mistakes, but I still believe that I am a good person with much potential,’’ he said in a three-page letter to the judge overseeing his case. It may be too late. Prosecutors argue Shkreli, 34, should spend at least 15 years in prison. His defense team is asking for a fraction of that, 12 to 18 months, but even that would be quite a concession for Shkreli, who boasted, even after being convicted, that he would spend little to no time in prison. ‘‘The trial and six months in a maximum-security prison [awaiting sentencing] has been a frightening wake-up call. I now understand how I need to change,’’ Shkreli said in his letter. Shkreli, best known for his aggressive defense of increasing the price of Daraprim — a drug primarily used to treat newborns and HIV patients — from $13.50 to $750 a pill, was convicted last summer of lying to investors in two of his hedge funds, MSMB Capital and MSMB Healthcare, and attempting to manipulate the stock price of Retrophin, a pharmaceutical company he founded. Shkreli raised millions for MSMB Capital, but not as much as he told investors. When he made a bad bet that doomed the hedge fund, he launched a scheme to cover it up, prosecutors said, then used Retrophin cash and stock to pay off his investors. Shkreli’s defense lawyers disputed all of the charges and attempted to sway the jury with a simple rebuttal: His investors were wealthy and sophisticated, and he ultimately made them richer. ‘‘How is it that someone who made millions of dollars for his investors, albeit causing these millionaires ‘frustration’ along the way, would become the target of a federal prosecution and end up before a sentencing court?’’ Shkreli’s lawyer, Benjamin Brafman, wrote in a court filing. Prosecutors dismiss Shkreli’s contrition as insincere and say that the fact that he was able to repay investors is further evidence of his crime, not his innocence. Prosecutors also pointed to Shkreli’s unusual conduct inside and outside the courtroom. During the trial, the judge, Matsumoto, was forced to order Shkreli to stop talking after he walked into a room full of reporters and called the prosecutors the ‘‘JV team.’’ Following the trial, the judge revoked his $5 million bond after he offered Facebook followers money to pluck a strand of Hillary Clinton’s hair.